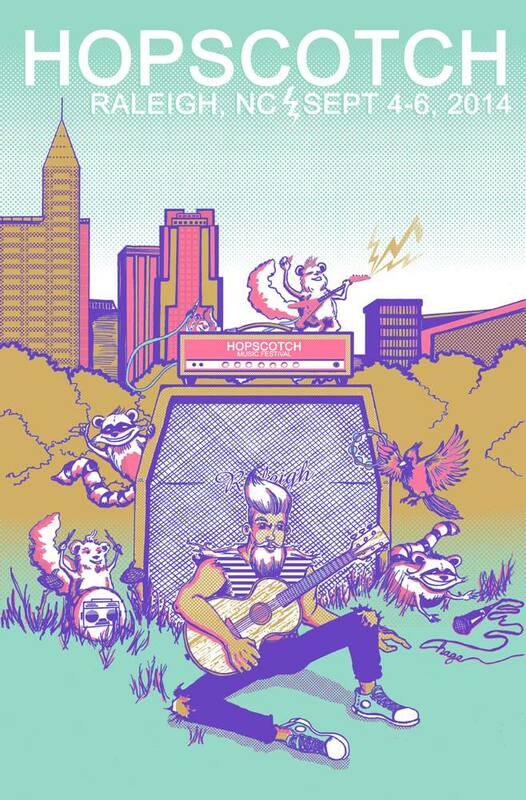 Hand illustrated artwork for the 2014 Hopscotch Music Festival in Raleigh, North Carolina. The festival featured such artists as St. Vincent, Mastodon, Spoon, Thurston Moore, Phosphorescent. These posters were hand, screen printed on cover quality French paper and sold at the festival. Additional I designed artwork for an official festival t-shirts, embroidered hat and sticker.